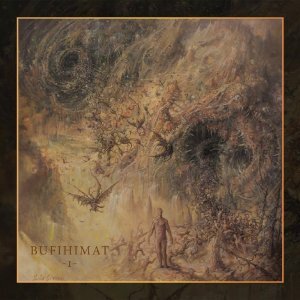 First thing first, I've never heard of Russian act Bufihimat before and the only reason I decided to give this album a shot was the fact that it's beeing released trough Willowtip records which is often a clear indication of quality. After having heard their new album, simply entitled "I", the first time I was asking myself what the hell it was that just hit me. This is some seriously intense stuff for sure, it makes you feel like a passenger on a runaway train heading straight towards the gates of hell. Bufihimat's mixture of technical death metal and grindcore with a blackened twist is unique for sure, but the good thing about it is that these guys doesn's go brutal just for the sake of sounding more brutal than anyone else. Every single track on the album has substance and quality, and behind all the madness you can hear intricate details and arrangements proving excellent musicianship. This music is certainly not for everyone, and I must admit that I have to be in the right mood to enjoy stuff like this. 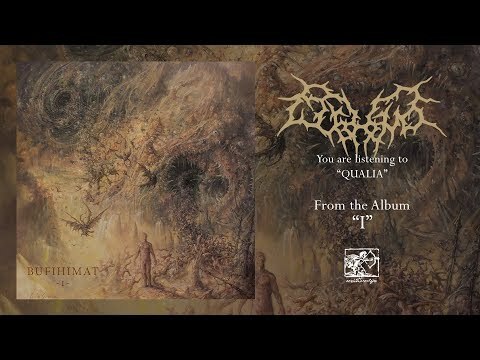 But if you're in for som high octane, brutal technical death metal and grindcore this might be just what you've been looking for.